Some random notes to start my trip to Greece. I love collecting passport stamps. After my prior trip to Europe in 2004, I kinda developed a thing for the European stamp, because bearing and rectangularish as it is, it shows the vehicle you entered and leave the EU. I was hyping it up, and totally looking forward to the first Europe stamp on my new passport. Guess what? The ink pad was dry, so the stamp was faint. What a bummer! On the plane, I also had a strange feeling that something was gonna happen to me today. So I moved majority of my cash into my money belt. Well, as we were taking the metro from the airport to Athens, I got pickpocketed. My pride is hurt, that’s for sure – first time I got pickpocketed after all these years, and due to my carelessness. But thankfully, my gut feeling managed to limit the damage – I actually moved 450 Euros into my money belt, and had less than 50 Euros in my wallet. We arrived at Athenstyle, which is a sort of dorm apartment. Our three-bed room was slightly pricey (about 60 sgd per person), but it was nice. It was spacious, clean, had an en-suite bathroom, and a mini-kitchenette. 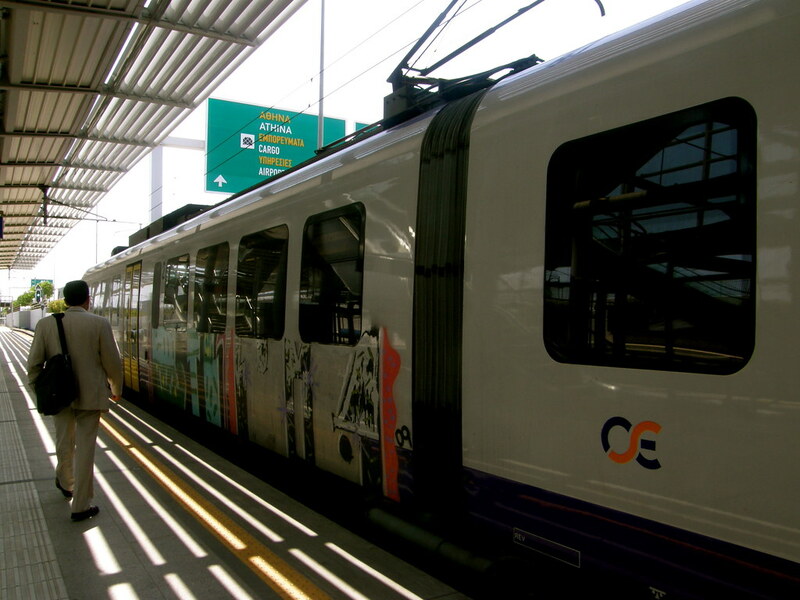 It was also very central, and about 5 mins walk to the metro station, and maybe about 20 mins walk to the Acropolis. Can’t complain, at all. Come evening, another reason to stay at Athenstyle. We went to the rooftop bar for happy hour (2 euro beers), and waited for the sun to set. 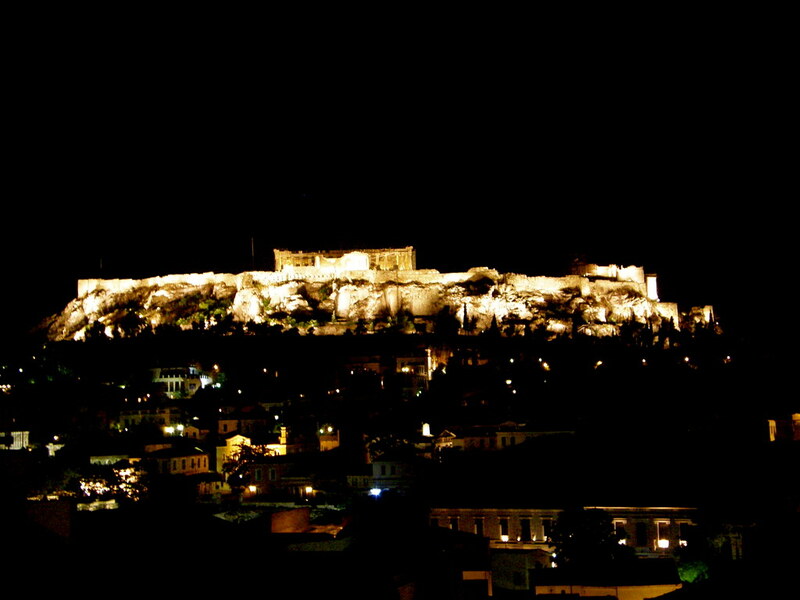 It has an excellent view of the Acropolis, lit by lights at nightfall.